After comprehensively outperforming its predecessor in its first week, Red Dead Redemption 2 second week sales have been similarly record breaking. Surpassing FIFA 19, Spider-Man, and Call of Duty: Black Ops 4, Red Dead Redemption 2 has recorded the best second week sales figures (in the UK) of any video game released this year. Unsurprisingly, Red Dead Redemption 2’s impressive second week has seen it maintain the number one spot in the UK charts. Holding off Black Ops 4 and FIFA 19, which ranked number two and three respectively. The only new entry on the list, meanwhile, was PC exclusive Football Manager 2019 (that’s soccer to our American cousins). Which entered the charts at number nine. 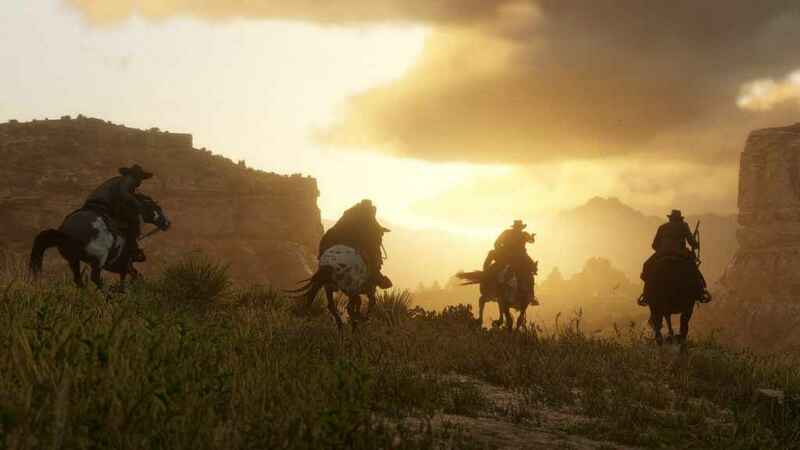 If you’re still working your way through Red Dead Redemption 2’s obscenely large open world and the myriad quests and optional objectives that lurk therein, we’ve created a number of guides over the last few days that may prove invaluable. These include a guide to locating all thirty dinosaur bones, fixing the game’s dueling bug, exploiting the Gold Bars glitch, and where to find all fifteen Legendary Animals. We even have a guide to the best Red Dead Redemption 2 cheats, if you’re not above a bit of skulduggery.